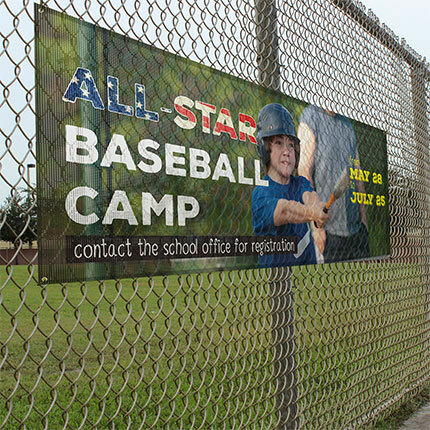 Generally, Mesh Banners are used for outdoor events such as festivals, celebrations and concerts because they allow wind and sound to pass through the material. Another common use is for store front banners. 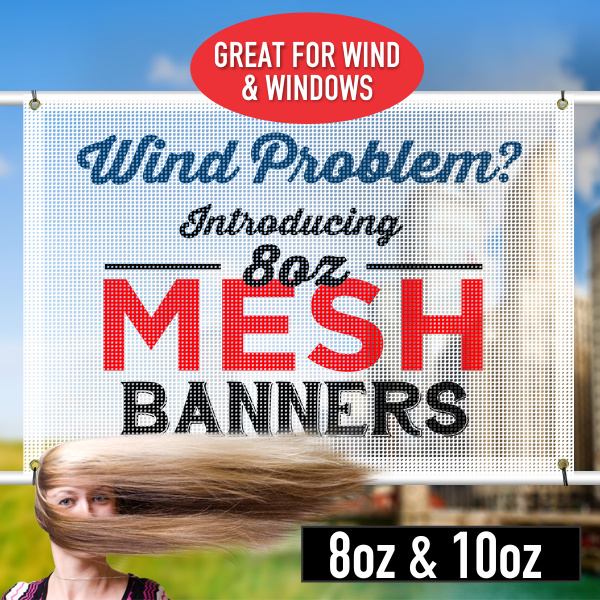 Mesh Banner material permits some visibility through windows and also allows natural light into the store.